Most business owners shut down the outlet of websites or don’t give it the attention it needs because it doesn’t make money like a conventional store does. The truth is that your website may not be doing you any good because of the very fact that it needs a different layout to up your sales. Some of the reasons why you might be facing problems could be because you are looking too much into the wrong metrics, or someone is giving you bad advice. The cyber world is constantly changing and evolving. How do you know your strategy is up to date? Sometimes you have all the right tools but the actionable part is missing. You want a proven system, something you can implement ASAP. You can easily point out the right steps that influence your exponential growth if you follow the correct guidelines. You will find a lot of websites that generate good traffic and they have certain things in common. Not only do they work toward increasing the number of people who visit their website, but also the number of conversions that take place — once the potential customer reaches the site. 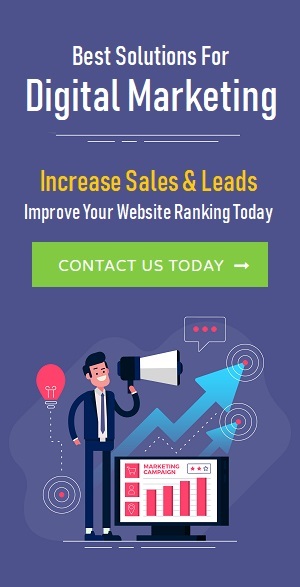 This can be done by putting certain measures in place, such as email marketing and targeted search that brings in the right people to your website instead of ordinary users who may or may not be your target demographic. You then continue to get more people to your website with interesting content. Here are some of ways you can boost the traffic of your business’ website. Search engines work by crawling the Internet and finding the right content which they then replace in places around their vast databases. Savvy online marketers can easily craft their websites through terms which are ranked as the most popular. These terms are then used by the engine to rank your site. Google Analytics is an excellent tool, since it makes sure that the content you are developing for your site has all the relevant information. The relevant words keeps your website rank well in the top search engines. It is important to remember that it takes a few months for the SEO to start kicking in. Therefore the sooner you begin work, the sooner you will be able to see positive and measurable results on your business’s web portal. ● Avoiding technologies which are not search friendly like the infinite scroll, Flash and content that is embedded within images. ● Always update a site map. The site map allows search engines to work through all the content that they have. ● Create links within the site content which leads the audience to other relevant pages. Before you begin drafting the content for your site, make sure that you have the right keywords. These are the terms users will enter from their end in search engines. Search engines then look for the best matches towards what a searcher is looking for. This means your content must contain the relevant keywords that your target market is actually using. There are a few general rules attached to this. These include staying away from acronyms and jargons. These can also be using different variations for one keyword, you can put in plurals and verb tenses for the word. Also, your search engine will see plural and singular as totally separate words. Before you type out the content for your site, it is important that you first research all the tools available to you. If you do your homework right, you will easily be able to find a list of third party tools such as Google AdWords and Word Tracker. Another major thing that most content writers forget when incorporating keywords into your write- up is to not get greedy with the targeted words. Always use these words as they would naturally fit into the text. Another great way to ensure that your website is not only making sales online, but is also attracting your local audience. This can be done through link building. It is an effective way to drive traffic on your website. You can hire a link building agency to help you out with this technique. But make sure you go to someone who has been a great help to businesses. Almost everything is done online and people are just a click away to find out information about your business. Link building has made a great difference for many small companies. This technique requires patience and a lot of time. Do not expect your business to grow overnight. However, effective link building can do wonders for your business. If you want other domains to link to your website or content, you have to add value to the topic. Your content should encompass the topic from every aspect or provide additional information in order to justify your link building efforts. This is exactly why Ebooks are considered to be the perfect way you increase your website traffic and ultimately conversion rates. Blog posts and articles are limited in nature as there is only so much you can cover and link in a short post of 500 – 1000 words. While ebooks will allow you to cover a topic extensively and add links in an organic manner. Many sites will prefer linking to ebooks as this content will provide extra value and substantial insight. If you think your content development team will have trouble curating ebooks, consider this ebook maker by Designrr . This tool will make your life much easier and will help you curate engaging content which captivates your viewers till the very end. Remember, you will need all the help you can get when it comes to publishing content which exceeds three thousand words. Ultimately Ebooks are an effective link-building resource due to their comprehensive nature. Hence, all the above mentioned resources can be used effectively to up your website traffic! Search Engine Marketing is a great way of gaining traffic by buying ads on your search engines. Similar to SEO, these ads rely on Keywords. They then use them to place your ads in the paid ad sections of the search engine result page. A lot of small business heavily rely on SEM for business. You don’t use the same keyword placement strategy and nab a higher rank on the search engines. You definitely need the extra edge that SEM offers you. 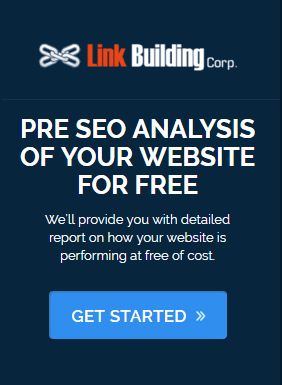 The best thing about this measure is that Yahoo, Google, and Bing all have very simple programs that can help you get started. You start by determining the key words as well as the amount you want to pay according to number of clicks or ads shown every day. Depending on the program usually you only have to fill out a form and put a certain amount of money as credit. This is an old, yet effective way of reaching out to your customers. Set goals and get started on your email marketing programs by supporting your overall marketing goals. Next, collect customer names as well as their email addresses and this will fatten your email list. This can be done as a customer enters your site, checks out at which point they can fill out this field. Or you can even have someone at your brick and mortar store request for email at the POS station. 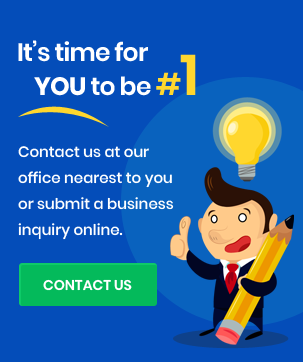 You want to choose an email marketing service that gets you the design templates that are not only appealing but are also compliant with privacy regulations. Track the results of all your email marketing campaigns by offering a service provider and always remember to update your database. Make sure you follow these steps if you want to increase your website’s traffic. You may have something that would actually attract customers, but you need to spread the awareness. 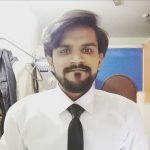 Sohail Rupani is a senior SEO Strategist at a Local SEO Company Orlando PNC Digital. SHe specializes in SEO and SEM techniques. He is passionate about technology and loves to analyze the tech industry in his spare time and stay in touch with the latest happenings. He also writes technical articles about SEO and digital marketing. Follow @sohailrupani for more updates.